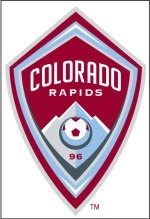 With the Whitecaps doing the Galaxy a big favor by nholding the Sounders to a scoreless draw last night, LA has the chance to keep pace with Real Salt Lake City with a road win over the Rapids in Colorado. Phil Collin has the preview. No, I did not watch this shower in person, opting for the televised Whitcaps-Sounders game in hopes Vancouver would win and put Chivas USA and the rest of us out ouf our misery as the Goats hole keeps getting larger the more the team digs. Alas, as Staff Writer Phil Collin popints out, while that hasn’t officially happened yet it’s just a matter of time after the latest same-old, same-old outing as noted in his game story. 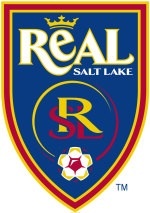 Here’s the Real Salt Lake perspective from our sister paper The Salt Lake Tribune. As that story points out, Chivas USA appear to be going backwards, not forwards, as the season draws to a close (now almost 500 minutes without a goal and a defense giving up goals quicker than Bill Gates is donating his fortune). “Without a doubt you don’t have a season like this and go without changes, no question. You certainly evaluate everything, determine where you can make your changes. Given all the restrictions and rules that are in the league it’s not as easy as just going out and making changes, but certainly coming off a season like this changes have to be made. is a process that goes to rebuilding a team and we’ve all known all along that results are a part of it. And if I hear Fraser say that last paragraph one more time this season…. Perhaps that will come Wednesday against the Whitecaps in Vancouver. Chivas USA (7-15-7) verses Real Salt Lake (15-11-4) at 7:30 p.m. at Home Depot Center (live on Prime and KWHY). Incidentally, another big game today with playoff implications for the Galaxy is the Sounders against the Whitecaps, kicking off at 6 p.m. on the NBC Sports Network. 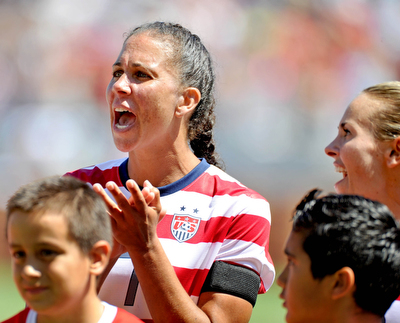 Torrance’s Shannon Boxx overcame a serious disease to become a three-time Olympian, a personal milestone she celebrated after the USWNT victory in London with 100 friends of family during the game against Australia at Home Depot Center last month. (Photo by Staff Photographer Sean Hiller). I’ve known Torrance’s Shannon Boxx now for almost 10 years, dating back to her selection for the 2003 World Cup team, a competition that was moved to the U.S. after the SARS scare in China. She became the first and so far only woman to make a World Cup squad after being previously uncapped, an accomplishment that is a testament to her drive and determination as much as her skill and physical attributes. It’s that sort of determination that led a child raised by a single mother (her sister won an Olympic gold in softball, too) to earn a scholarship to Notre Dame and to become the world’s dominant defensive midfielder for most of the last 10 years. “It’s a disease of flare-ups, so the majority of the team I feel great,” Shannon told me after the U.S.-Australia game at Home Depot Center. “It’s just those moments when flare-ups happen you can be down and out to the point where you can’t get off the couch. So there are definitely moments I have to change my routine a little bit. (You can hear Shannon talk more about her battle with lupus here). Shannon and Team Boxx (it looks like USWNT striker Abby Wambach, Hermosa Beach resident, is also a team member) will participate in the Walk for Lupus Saturday at the LA Memorial Coliseum. You can sign up to walk with Team Boxx on the day of the event or simply walk in spirit by pledging to the cause. And that renders their final group game Oct. 25 in El Salvador as meaninglesss. And the clincher came courtesy of the Puerto Rico Islanders, the minor league club the Galaxy had already sent packing from the competition. Read how the Galaxy did it here. The group standings are here. The quarterfinals will be played in March 2013. That’s a good thing for the Galaxy, potentially bad for Chivas USA. The Galaxy can advance to the next round of the CONCACAF Champions League tonight without kicking a ball. 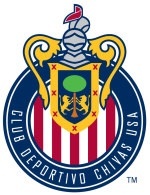 Chivas USA, on the other hand, could be done in MLS for the year if the 7-15-7 Goats fall to Western Conference powerhouse Salt Lake City (15-11-4) Saturday night at Home Depot Center and the 10-12-8 Vancouver Whitecaps lose to the 13-7-9 Seattle Sounders, who sit 10 points above the Canadian team in the standings, on the same day (live at 6 p.m. on the NBC Sports Network). Chivas USA fans devoted enough (or should that be brave enough?) to watch can see the RSL-Goats game live at 7:30 p.m. Fox Sports West (with the possibility of a slight delay at the conclusion of the prior sports program, the club said) in English and KWHY Channel 22 in Spanish. Speaking of Chivas USA, who like to call themselves the only Mexican -owned U.S. sports franchise, that’s a distinction that’s utterly irrelevant when it comes to the success Club Tijuana is finding in the U.S. compared to the Goats. Incidentally, I’ll throw out a question that will likely be the subject of a future column: have we moved beyond asking whether Chivas USA is an experiment that should end to asking whether the franchise is actually hurting the rest of MLS? On the minus side, that’s because Chivas USA have continued their losing ways, their losing streak now reaching five games. They have not won in nine games, since Shalrie Joseph joined the club in early August. I’ve been taking a few days off and will take off a couple more, so no column Tuesday. Simply put, the Galaxy are rolling at just the right time of the season. Staff Writer Phil Collin filed the game story. Check out the MLS standings. Do not miss Juninho’s two goals (and it could have been three from him). 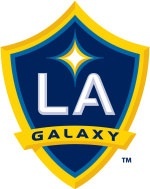 Next for the Galaxy: in Colorado against the Rapids Sept. 30. Then comes three huge games to end the season against Real Salt Lake Oct. 6 at home, Oct. 21 in San Jose against the Earthquakes, and finishing the year hosting Seattle Oct. 28. The main reason to see tonight’s game — other than the salute to the 2002 MLS Cup-winning team — is to watch the Galaxy do something they will inevitably do anyway and clinch a playoff spot. It’s certainly not to see horrible Eric Hassli-less Toronto especially in this humidity, which at least the visitors will be used to, I suppose. On a stoppage time goal. Ouch, ouch, ouch.